We are the key to your next door. We are full time Residential and Commercial Realtors specializing in New Home Construction, resort and second homes, relocation, City Living, Condos & Lofts, vacation homes, luxury home properties, and vacant land. We have a worldwide referral network for relocation properties. Married since 1986, born and raised in the area, we call Pleasant Hills home where we have raised our two children. Dan has been a volunteer firefighter for Pleasant Hills Fire Company since 1975 where he served as the borough fire chief for 14 years and is now a life member. Michelle served as the fire company's treasurer. Dan has also volunteered for several organizations in the past including Jefferson Hills EMS, Big Brother for BBBS of Pittsburgh, and Make-A-Wish of Greater Pittsburgh which is a charity that Coldwell Banker supports every year. In 2012, Dan was appointed to Pleasant Hills Borough Council. We have been ranked in the Top 100 agents for Coldwell Banker Pittsburgh Offices since 2009, top 50 since 2012, top 25 since 2014, and in 2016, in the Top 10. Experienced in City Living , Town Homes, Condos, and Loft Sales. Over 30 years of accounting office administration experience. Dan and Michelle were extremely helpful when I was looking for a house. They were always available when I needed them. They also found a lot of places that fit my interest. I had a great buying experience for my first time buying my own place. I couldn't have asked for a better experience! We were looking to move, So when we contacted Dan & Michelle & told them what we were looking for it made it easy for us. They are a no pressure team who are very flexable to accomadate around schedule. I would recommend them to anyone and I have! Dan & Michelle Haeck are by far the greatest duo paired real estate agents my wife and I have encountered. They're very attentive to your needs, and help make the whole overal process of buying a house easier. Definately recommend these great people. I've worked with Dan & Michelle for years and they are always very professional. I am most impressed with how they put their clients first. As an inspector, I see many agents that seem more interested in selling the house versus selling their client the "right" house. Dan & Michelle always seem to care more about their client then they do about just getting a commission. Appropriate printed and internet advertising for each listing which can include, full color post cards, brochures, magazine/newspaper ads, dozens of home buyer websites, social media sites, etc. Professional photography where warranted, visual tours. Coldwell Banker Global Luxury Program for International Luxury Homes Market . Homebase In-Touch online rapid response system for buyer contact within seconds. Search Engine Optimization makes us among the top websites returned in keyword searches. Home Search Alert allows registered buyers to receive alerts on new listings. Sell CB First system allowing agents to promote new future listings for a faster sale. Home-base exclusive transaction management system for 24/7 access to your documents. Online Showing Report shows sellers how many online visits to their listings. Automatic Website Submission for a combined audience over 10 million visitors every day. Coldwell Banker On Location YouTube Channel. Toll Free Phone Number . Agent Tours, Agent Emails & Open Houses when appropriate. Answer our phone, return voice mails promptly, & communicate well with clients. Bring pre-approved qualified buyers, very important in today’s market. Coldwell Banker Concierge & Customer Services Guarantee is written 100% for you. 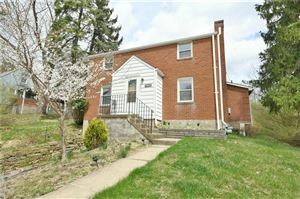 West Penn Multi-List listings last updated Apr 19, 2019 10:57:am.